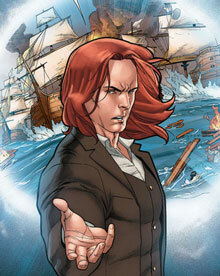 Time travel is a fascinating topic to many, and Fred Van Lente‘s current Ivar, Timewalker series from Valiant is timesurfing at both its most fun, and most scientific, with nods to Stephen Hawking’s writings on the subject. Van Lente did his own time jump to the past a couple years ago in The Comic Book History of Comics. This week Tim discusses both these works with him, along with Spider-Man, Archer & Armstrong, reassessing Frederic Wertham, and more. Will the Sect Civil War lead to internal conflict between Nick and Josh? Why can’t Archer just get along with Armstrong? How do the emoticons change of the Black Bloc’s faces? Has Nick ever been drunk before? Why do I keep asking questions? … Well, how come you don’t know? Are you ready to listen to our take on the fourth Archer & Armstrong trade? …Well then how come you haven’t pressed play yet? The young one brave and sure. One was eaten by a dinosaur. His innocence would be lost, his innocence would be lost. Zone 4 #278: Avengers NOW! The crew returns to discuss the latest shake-ups in the Avengers. First up, we pause for the audio spot from Comic Geek Speak about a special run they are doing to raise money for Livestrong in honor of one of their own. Then we jump into some headlines, covering film, cartoons, Netflix, comics and more, with the final two leading into our main topic. For Topic Time, we discuss the ramifications of the newly announced members of the new Avengers team coming in November with Avengers NOW!, lead by all-new versions of Cap, Iron Man and Thor. It’s another special episode of the Wayne’s Comics podcast, with two more great interviews! First up is Fred Van Lente, scripter for Valiant’s Archer & Armstrong as well as Dark Horse’s Brain Boy. 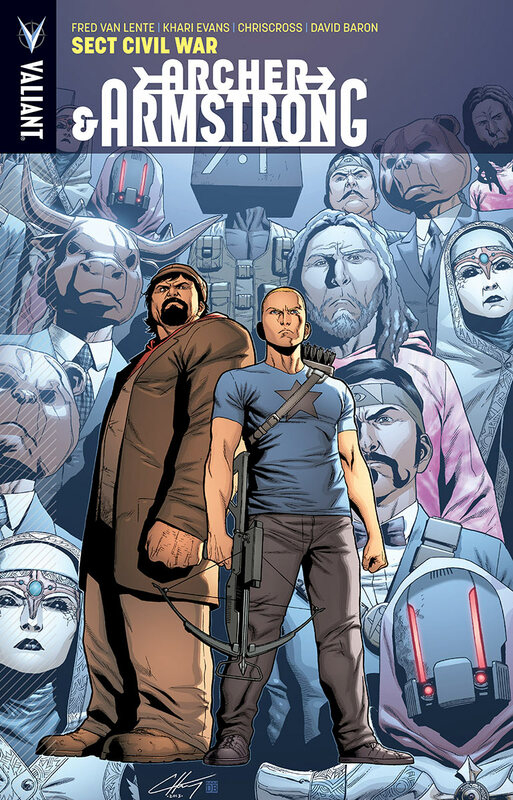 We talk about the history of Archer & Armstrong, including how it came to be and how unique this book and its characters are compared to other comics available today. If you aren’t reading it, this is the week to pick up issue #16 so you can get on board with this terrific comic! And Brain Boy is worth your money and attention as well! I interview Cullen Bunn next, and we chat about The Sixth Gun, a successful book available from Oni Press! Cullen discusses the series and what we can expect in the coming months. He also updates us on how possible moves of this story to television is currently doing! Be sure you buy the 36th issue, out this Wednesday! Oh, and you’ll learn a lot about Hellheim as well during our chat, so don’t miss it! More terrific interviews coming next week here at MajorSpoilers.com!